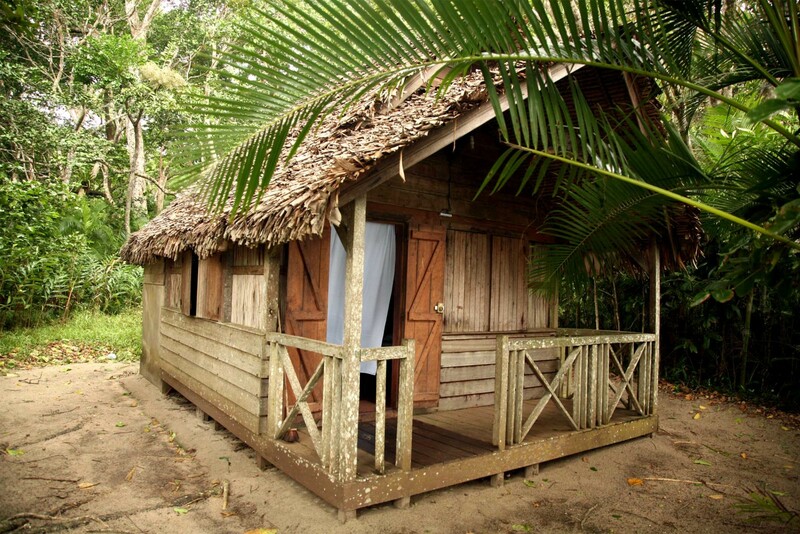 Basic wooden bungalows surrounded by lush rainforest and just steps from a wild beach. 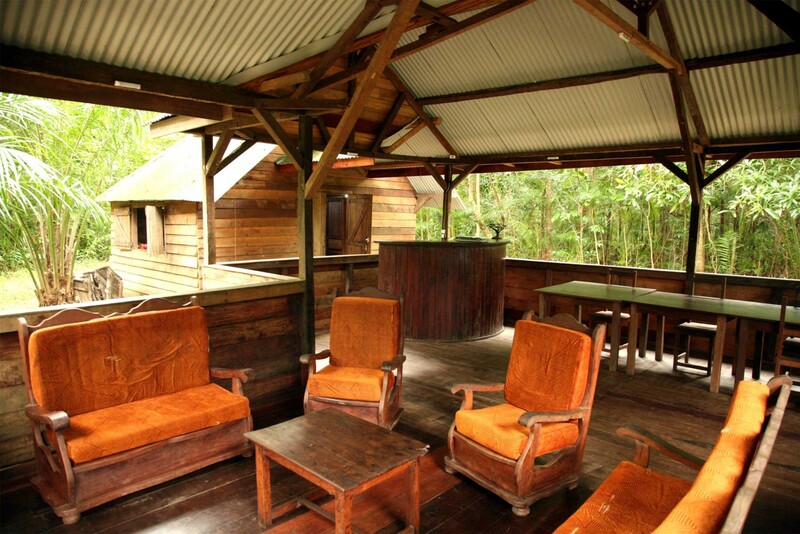 The basic wooden bungalows situated on the edge of the Farankaraina Forestry Reserve are the only available accommodation besides camping and are ideal for night walks in search of the elusive aye aye. 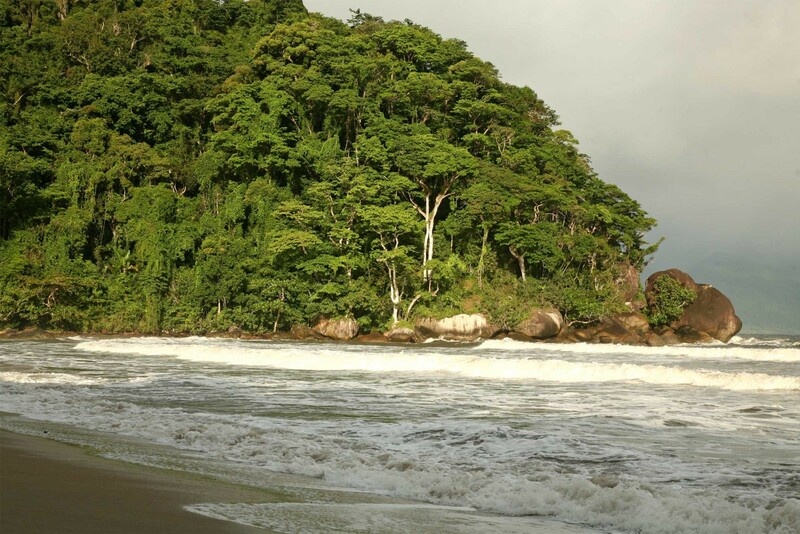 Each bungalow is located in a small forest clearing with plenty of privacy and just steps from the beach. 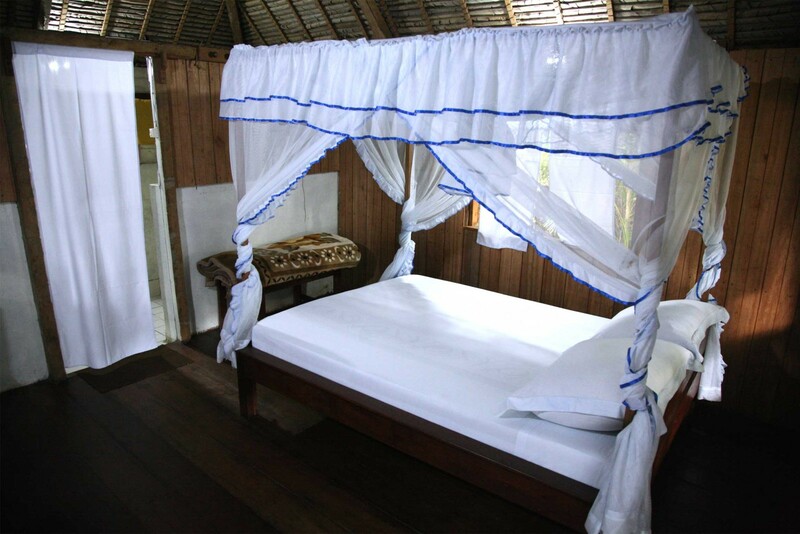 The bungalows are very basic with just one double bed with mosquito net and a small sofa, desk and chair. 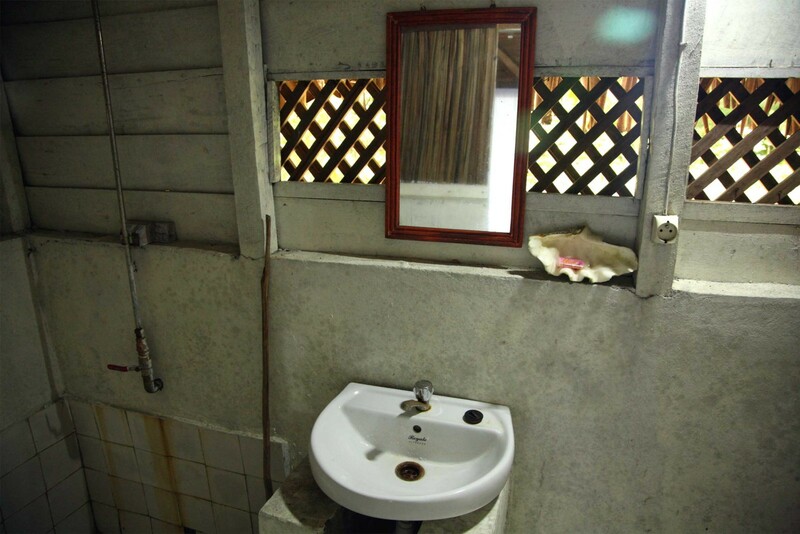 Each has a private bathroom with a western flush toilet, basin and shower although there is no true hot water and water can be a little brown at first. The bungalows are constructed with local timber, raised off the ground and feature a thatched palm roof. There is a communal building in the main forest clearing where meals are taken on long dining tables and sofas are available for relaxing in between excursions. All ingredients, bottled water, a cook, waiter and porters are brought in from Maroantsetra and although food is tasty it can be limited in choice and repetitive due to the remote conditions. To reach the bungalows, one must first travel by motorised canoe from Maroantsetra for up to an hour through rice fields and marshes to the edge of the reserve. From here it is a relatively easy walk of up to 1 hour along a wide and mostly level path to the bungalows. Towards the end of the track the path becomes more uneven and slightly uphill. This is also one of the wettest parts of Madagascar so long and heavy showers are frequent and waterproof clothing is essential. 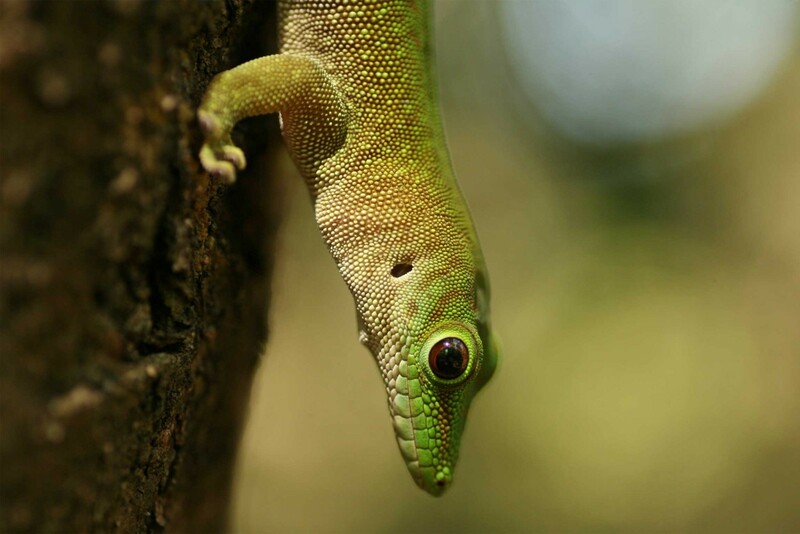 The quiet location, abundant wildlife and beautiful rainforest surroundings make up for the basic accommodation here and the chance to observe wild aye ayes in their natural habitat is a highlight of any trip to Madagascar. Private bathrooms with showers and western flush toilets. There is no hot water and the water can be a little brown at first. Mosquito nets are provided above the beds along with extra blankets and there are power sockets plus a desk and chair. 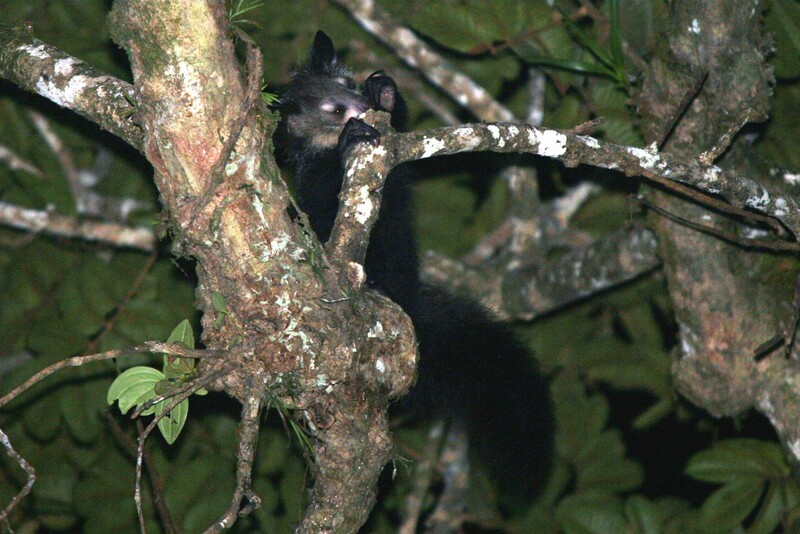 The reserve is home to a healthy population of aye ayes which can be frequently seen on night walks in the reserve. Other lemurs include the white-fronted brown lemur, northern grey bamboo lemur, greater dwarf lemur, Masoala sportive lemur, Masoala woolly lemur and rufous mouse lemur. 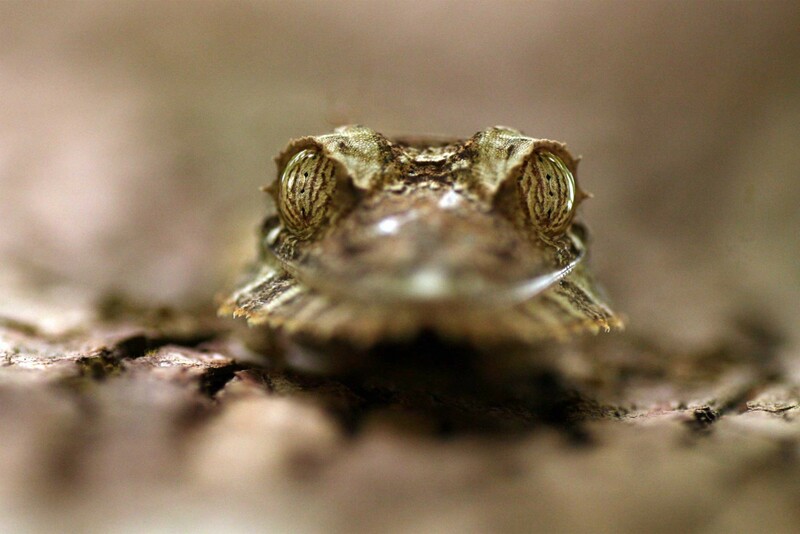 Other wildlife often seen here includes ring-tailed mongoose, lowland streaked tenrec, panther chameleon, tree boa, leaf-tailed geckos and many endemic frogs. Birdlife includes the blue and red-breasted coua, Madagascar sparrowhawk and rufous vanga. 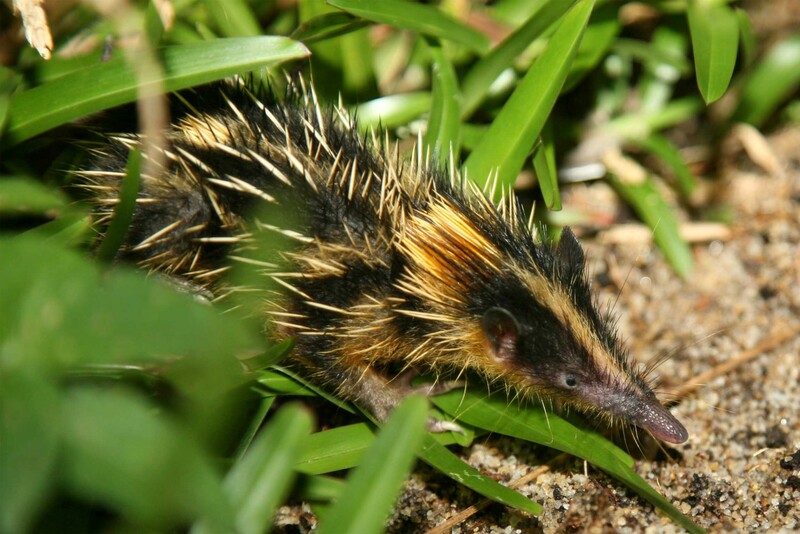 Guided wildlife spotting including night walks in search of aye aye and nocturnal lemurs. 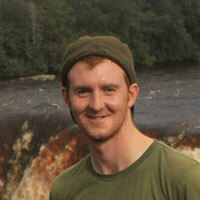 Hiking (both long and short walks) and excursions to local villages and markets can also be arranged. As this is one of the wettest parts of Madagascar a small lightweight umbrella is very useful for still enjoying wildlife walks even in the rain. "Very comfortable; good food - saw aye aye and waited 50 years for this." Mr N J - Durham.